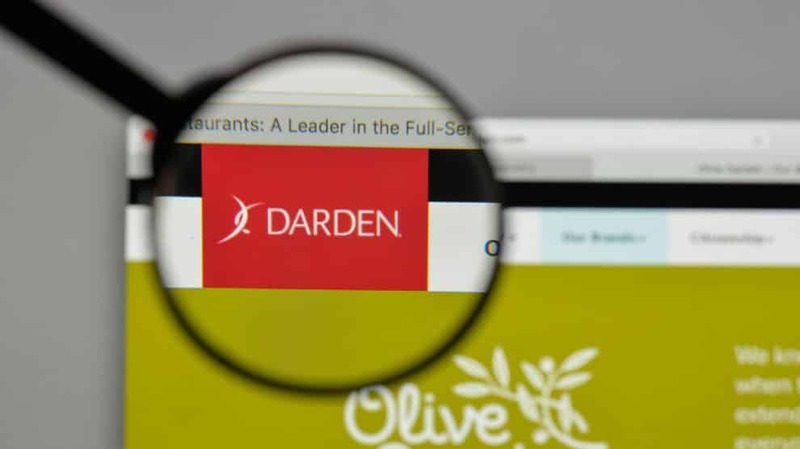 How would you rate your experience with Darden Restaurants ? CEO: Eugene I. Lee Jr.
From an early age, William (Bill) Darden knew what he wanted. He opened his first restaurant at the age of 19 in his hometown of Waycross, Georgia, in 1938. He called it The Green Frog. This humble restaurant would be the first of many that Darden would operate. In 1968 Darden branched out and opened his first Red Lobster in Lakeland, Florida, in 1968. After much success, he sold the company to General Mills, who expanded the Red Lobster chain to more than 400 locations by 1985. In 1982, the company opened their first Olive Garden in Orlando, Florida. In 1995, General Mills spun off their restaurants and created Darden Restaurants. 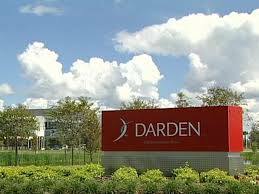 In 1996, Darden went public on the NYSE under the ticker symbol DRI. In 1996, the company opened the Bahama Breeze Island Grille chain, as well as the Smokey Bones BBQ in 1999. In 2002, the company began testing of their concept of a different type of restaurant, one with a menu that changed with the seasons of the year, called Season 52. In August of 2007, the company acquired The Capital Grille chain, as well as Longhorn SteakHouse restaurants. In July of 2012, the company acquired Eddie V’s Prime Seafood, as well as Wildfish Seafood Grille for $59 million. Later that same year, the company acquired Yard House restaurants for $585 million. In May of 2014, Darden announced it would be selling the Red Lobster chain to Golden Gate Capital for $2.1 billion. In March of 2017, the company acquired Cheddar’s Scratch Kitchen for $780 million. 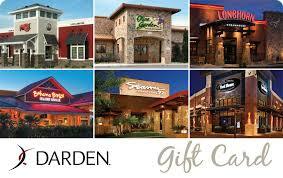 Darden Restaurants employs almost 200,000 persons and had annual revenue in 2012 of $7.999 billion. Company headquarters are located in Orlando, Florida. Question 1: What is the phone number for Darden Restaurants? Answer 1: The phone number for Darden Restaurants is (407) 245-4000. Question 2: Who is the CEO of Darden Restaurants? Answer 2: The CEO of Darden Restaurants is Eugene I. Lee Jr.. Question 3: Who founded Darden Restaurants? Answer 3: Darden Restaurants was founded by Bill Darden in 1968. Don’t ever work 4 this company!!!!!! Manger lies in interview, plus now not getting paid 4 work rendered. Darden owns several different ones, so check out real name of corporation before applying. Plus, manager lied again after I left. Said worked 2dys less than what I did. So, if you work for them SAVE your print out of hours worked at end of shift for proof. You will need it for labor dept. Want to make sure Darden Restaurants sees your comment or complaint?